This is your guide to how personal data is managed by Lacy Walsh Solicitors. Please read this carefully. Data Privacy is taken very seriously by Lacy Walsh Solicitors. It is important that you know exactly what we do with the personal information you and others provide to us, why we gather and retain it and what it means to you. This document outlines our approach to Data Privacy to fulfil our obligations under the General Data Protection Regulation (2018). We welcome this as an opportunity to reassure you of the importance we place on keeping your personal data secure, and the strict guidelines we apply. The purpose of this privacy notice is to explain to you how we collect and use personal information in connection with our business. “Personal Information” means information about a living individual who can be identified from that information (either by itself or when it is combined with other information). We collect and process various categories of personal information at the start of and during your relationship with us. We will limit the collection and processing of information to information necessary to achieve one or more legitimate purposes as identified below in paragraph 9. We are also required by law to retain information relating to our files for specified periods of time, for example under the Solicitors Accounting Regulations.  The Information retained on our files will contain “personal data” however, Lacy Walsh Solicitors will endeavour to retain a minimum amount of information for the minimum required period of time. ➢ Basic personal information, including name, date of birth and contact details including home address, work address email address and work and personal telephone contact details. ➢ Online Profile and Media Information and Activity based on your interaction with us for example, online banking, mobile phone network confirmations, searches, site visits. We may also process certain special categories of information for a specific purpose. These special categories of personal data require a higher level of protection. Examples of this would include a person’s racial or ethnic origin, your mental or physical health or condition, religious or philosophical belief, membership of a trade union and/or political opinion. We may process special categories of personal data in limited circumstances with your explicit written consent. In addition we can process this type of data where it is necessary to do so in legal claims or where it is needed to protect your interests (or someone else’s interests) and you are not capable of giving consent, or you have already made the information public. We may also use this information to perform a contract that we have entered into with you, or to comply with a legal obligation or where it is necessary for our legitimate interests. The information that we possess and/or retain on our system is held under one of the purposes for processing information outlined in paragraph 9 below. It may become necessary to disclose personal data to a third party and this is dealt with at paragraph 6 below. We will retain the personal data that we retain for as long as is necessary to fulfil the purposes that we collected it, including to satisfy any legal, accounting or reporting requirements. Please note that we are required to retain our files in accordance with the Solicitors Regulations for a specified number of years, depending on what case we have dealt with on your behalf. Correction – If you believe that the information that we hold about you is inaccurate, you have a right to request that we restrict the processing of the information and to rectify the inaccurate personal information. Please note that the right of erasure is subject to certain exemptions and if you request us to delete your information, we may or may not be in a position to do so. Please note that the right of restriction is subject to certain exemptions and if you request us to restrict your information, we may only do this in accordance with the regulations and the law. Objection – You have a right to object to us processing or retaining your personal data. In circumstances where we can demonstrate compelling and legitimate grounds for the processing (which may override your own interests) we may continue processing your personal data. Depending on the circumstances, we may need to restrict or cease processing of your personal information altogether or where requested, delete your information. Please note that your right to object to us processing your information is subject to certain exemptions and if you object to us processing your information, it may become necessary to suspend or cease our business or transaction with you. Withdraw Consent – Where we rely on your permission to process personal information, you may withdraw your consent at any time. We will always make it clear where we need your permission to undertake specific processing activities. We hope to address your concerns through our normal complaints procedure. We will only use and share your information where it is necessary for us to lawfully carry out our business or transaction that you have instructed us to deal with. Your information may be shared with and processed in accordance with your instructions to us. We have described the purposes in paragraph 9 below. (b) Where the information is required to be shared, to provide our services to you, for example, by our service providers. Our service providers will only use your information in accordance with our instructions to them and we ensure that they have appropriate measures in place to protect your information. (g) Where permitted by law, it is necessary for our legitimate interests or those of a third part, and it is not inconsistent with the purposes listed above. If you ask us we will share your information with any third party where necessary. If you ask a third party provider to provide you with information you’re allowing that third party to access information relating to your business or transaction with us. We will not be responsible for any such third party’s use of your information which will be governed with you and any privacy statement they provide to you. In the event that any additional authorised users are added by you, we shall share information about the business or transaction with all authorised users. It is important to note that no data transmission over the internet can be 100% secure and so we cannot guarantee the security of any information you sent to us over the internet. Any transmission of such information is at your own risk. From time to time and dependent on the circumstances of the business or transaction, it may be necessary to transfer your information to other countries. The transfer of the information is done so on the basis of your instructions, in accordance with the applicable laws. In certain circumstances it may be necessary to transfer personal data outside of the European Economic Area (EEA) and in these circumstances we will ensure appropriate safeguards are in place to protect the privacy and integrity of the data being transferred. 8.1 By providing you with our services, we create records that contain your Information, such as client instructions, activity records, tax records and records of consultations and telephone conversations. Records can be held on a variety of media (physical or electronic) and formats. 8.3 Retention periods for records are determined on the type of record, the nature of the activity or transaction, the applicable legal and regulatory requirements. 8.4 As a general rule of thumb and in accordance with regulatory requirements we would process and retain all client’s files for a period of twelve years after the activity or transaction completes. We will only use and share your information where it is necessary for us to carry out our lawful business activities. Your information may be shared and processed in accordance with your instructions. We want to ensure that you fully understand how your information may be uses. – Manage and maintain our relationship with you as an existing and future client. This may involve sharing of your personal information with colleagues within the law firm to ensure and improve availability of services. – Communicate with you in relation to the services we provide for you. – Perform checks and monitor transactions for the purpose of preventing and detecting crime and to comply with laws relating to money laundering, fraud, and corruption. – Share data with banks, other solicitors, barristers and other third parties to assist in providing services to you. We may process your information where it is in our legitimate interests to do so as an organisation and without prejudicing your interest or fundamental rights and freedoms. (a) We may process your information in the day to day running of our business, to manage our business and financial affairs and to protect our clients, employees and property. This may involve disclosure of personal data to third parties such as barristers, experts and regulators, where required by law and where it is necessary to administer our working relationship with you and where we have a legitimate interest in doing so. (i) Identify new business opportunities and develop enquiries and leads into applications or proposals for new business or to develop are relationship with you. (ii) Send you relevant material which we believe may be of importance to you for example, changes to regulations that impact on you. We reserve the right to change our privacy statement at any time. Any changes will be posted on our website. When you use our website after any such change you will be deemed to have consented to the current version of the privacy statement and accordingly we would recommend that you check the privacy statement from time to time.